The Harlingen High School Big Red Cardinal Band and Harlingen High School South Mighty Hawk Band gave stellar performances at the 75th Pigskin Jubilee on October 21. 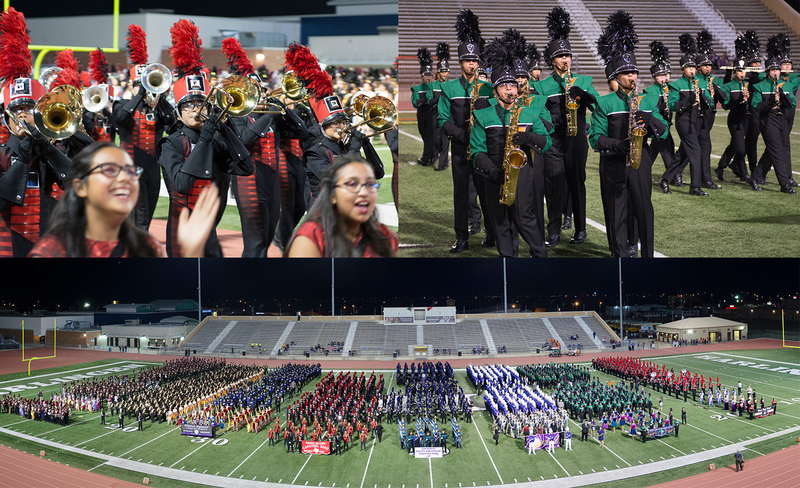 Hosted at Boggus Stadium in Harlingen for the second year in a row, the annual contest brought together 6A bands from all across Region 28. The Big Red Cardinal Band and the Mighty Hawk Band stole the show with their performances respectively entitled “The Twilight Zone” and “West Side: The Other Side of the Story” and finished the evening with Division 1 ratings. This marks the 21st consecutive year for HHS and 16th consecutive year for HHSS winning top honors in the annual contest.